My friends and I usually head into the forest every now & then to bask in the sounds of the forest- the chirping birds, crickets, sounds, monkeys and always in the hope of sighting wild animals. 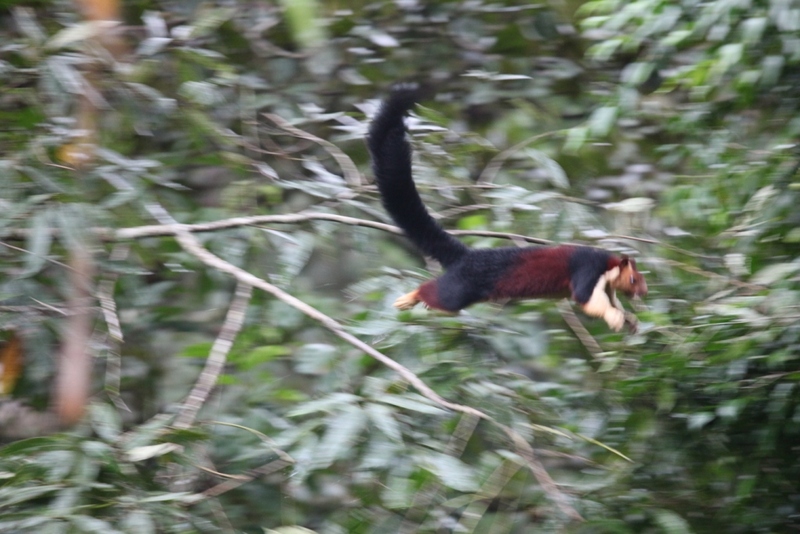 And most of the time we hear the rattling calls of the Malabar Giant Squirrel but we rarely get to capture a photograph of the beautiful creature. These squirrels are very shy and restrict themselves to the branches of high trees and since they are active only during early mornings and late evenings, they are quite hard to come by. 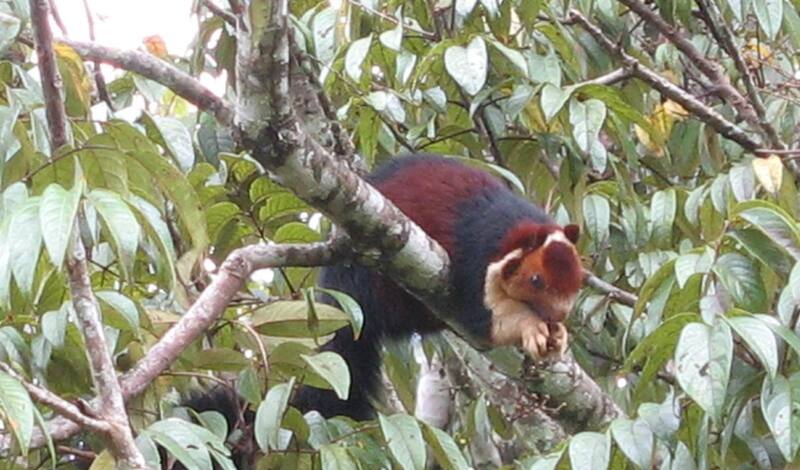 They usually live alone or in pairs in holes of the high trees. Any unusual sighting disturbs them and sets them off, they start scolding, barking like monkeys. When there is danger instead of running away, they usually flatten themselves against the tree.